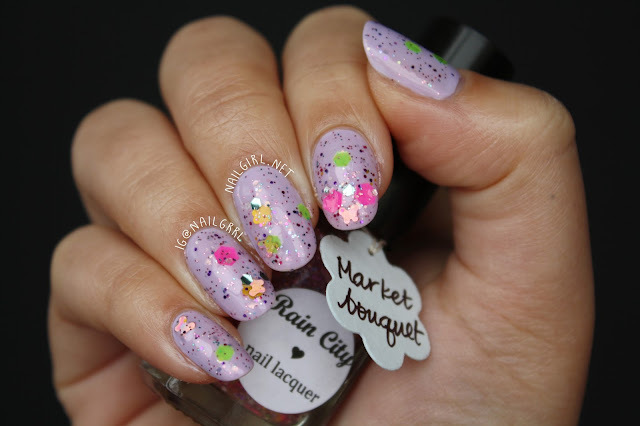 Here's the final installment in my review of Rain City Lacquers - Market Bouquet. 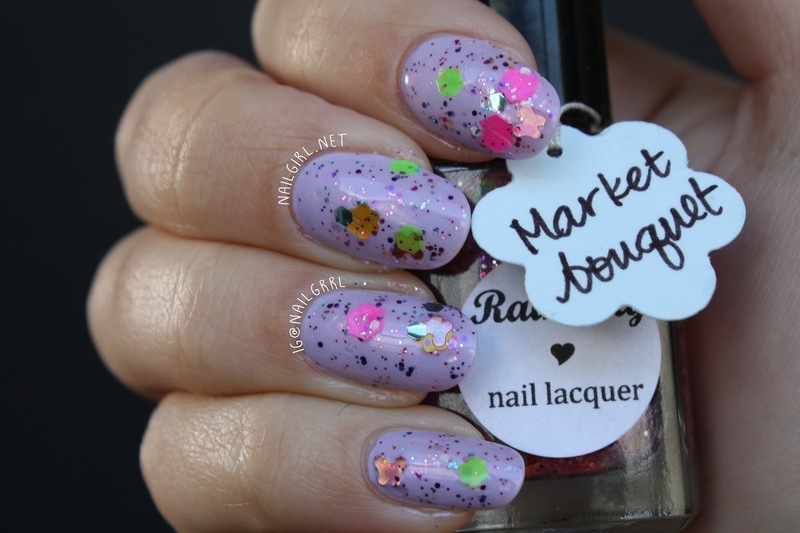 Market Bouquet has a very sheer pink base full of smaller holo glitters and large neon hexagons, flowers and butterflies. Here, I've shown 2 coats over 2 coats of Illamasqua Wink. I found I had to do quite a bit of fishing for the larger glitters, but I still really like the result, especially over Wink! This really made me think of spring/summer flowers, and Market Bouquet is definitely unique in my collection as far as glitters go. This polish definitely needed a generous coat of Gelous to smooth the glitters. This polish is available from Rain City Lacquer's bigcartel shop, and follow for shop updates on Instagram, Twitter and Facebook! Product(s) mentioned in this post were supplied for honest and unbiased review. Eye of Horus Giveaway Winner! Eye of Horus Goddess Mascara Giveaway!